Practical hands-on process control exposure is hard to get. Both industry and colleges need SIMCET to make learning of practical PID tuning quick and easy. SIMCET lets you practice and test tuning PID controllers as if you are working on a real DCS/PLC in the control room of a real plant. SIMCET lets you learn years of practical PID tuning experience in less than a week. SIMCET mimics the process behavior precisely as in a real plant. SIMCET builds tuning confidence quickly like no other method. Find out more about SIMCET in our product presentation. You can also test SIMCET during 1 month: request this free trial by clicking the 'free trial' button below. If you prefer a personal interactive demonstration of SIMCET and an opportunity to discuss a specific topic with our engineers, please request a private demonstration. ​Free trial version, demonstration, more information? Convert students and new personnel into skilled PID tuners in a remarkably short time. No need to read many pages of instruction manuals. SIMCET lets you start practice tuning PID loops in just minutes after software installation. It's quick, it's easy and it's effective. Moreover it comes at an easily affordable price. 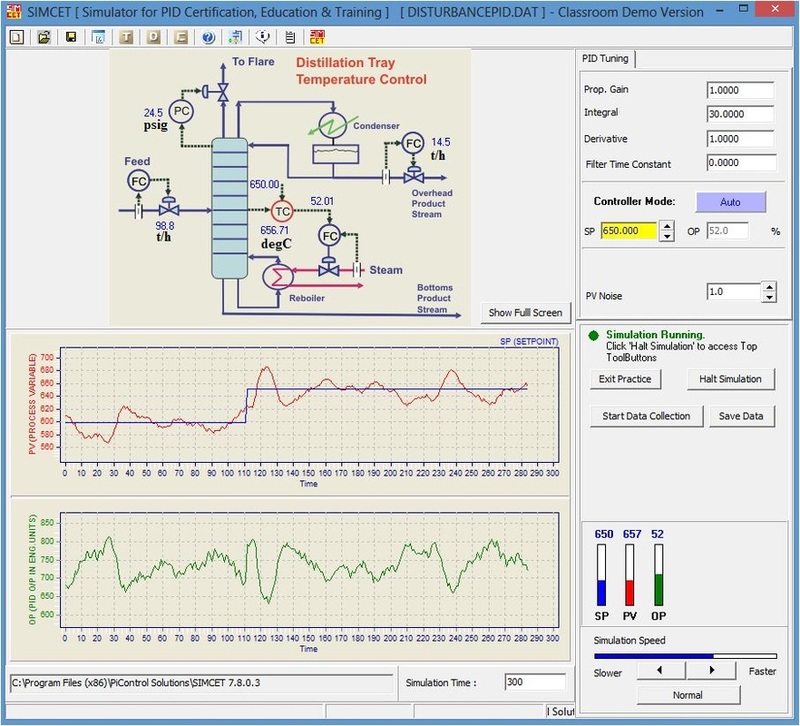 SIMCET allows PID tuning practicing as if working in the plant control room environment but without disturbing or endangering the real plant operation. Allows testing and certifying PID tuning skills before allowing someone new in the control room. SIMCET lets you tune PID control loops on Distillation Columns, Gas Compressors, Reactors, Refinery Columns, Heat Exchangers and other process units. Fearlessly tune flow controllers, pressure controllers, motor controllers, surge controllers etc. as if you are sitting in the control room of a real plant. Get hands-on experience and immediate feedback on the quality of your tuning and watch yourself become a PID tuning and control loop expert! Students take up to 12 randomly generated real-time PID tuning tests. The final PID turning parameters submitted by the students are compared to the optimal PID tuning parameters from SIMCET. 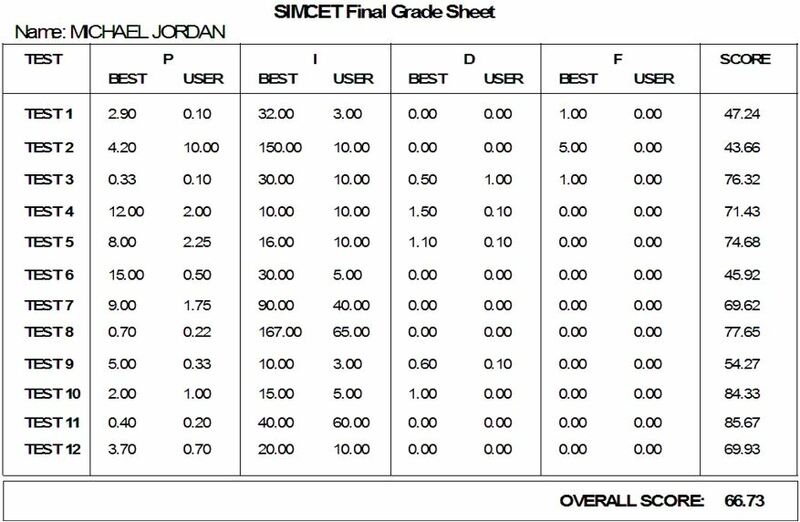 A grade sheet is generated to show the student’s PID tuning skills. The grade sheet can be printed and saved.